The scanning of family photos that my husband made his winter project came to an end shortly before the remodeling of the man cave/media room began. Once all the photos were scanned, my husband brought up a packet of photos that I realized I had never seen before. It was several photos of he and our son taken in California when our son had joined him for a long weekend while he was on a two-week business trip. The photos were of the two of them at Legoland. We had told our son when he was younger that if we were ever near a Legoland, we would take him there. I had originally thought we would find time to visit the one in Florida when we lived in the south, but things had never worked out. So here were photos taken when my son was 17 and his dad took him to Legoland, fulfilling a promise made a long time ago. While my son was too big for many of the rides, they still had a great time. They also weren’t the only father/older son there. Looking at the photos, I saw two happy people and realized that it was probably the last time the two of them were in a photo together. We have gotten away from taking pictures together and use our phone most of the time to capture events in our life. Very few of those are of more than one person in the picture. And even fewer have my son as a part of them. While cell phones are great to capture a moment, we should pull out an actual camera to capture family times that we can look back on and remember everyone together. Time is too precious and there are too many memories left to make. As part of our decluttering and reorganizing the basement, we have started to tackle the many photo albums and loose photos that we have. The first thing I did was take all of them out of the musty smelling, old albums. My husband then started to sort them into family photos, his growing up, mine growing up and ours. And also those from before we got together, his military photos and my vacation photos. The goal is to sort through them. Eliminate the duplicates. Yes, there really are three photos of me in kindergarten. And then they will be scanned and saved on a thumb drive for viewing whenever we want. Looking through my family photos, I was struck by how many of them were tied to food. One of the first photos of me was when my mom brought me home and she is holding me in her parent’s kitchen. For my first birthday, I was placed on the table and my birthday cake was in front of me. Clutched in my hand was a piece of cake. There are other photos of us outside in the summer, faces dripping with ice cream or snow cones. I remember that they were made by my mom, who would crush up the ice in the blender and add Kool-Aid to sweeten it up. Or we would make homemade popsicles in ice-cube trays. Other photos were taken at family events, but the one constant in many of the photos was the food. I grew up in a large blended family. My father was married before and had four children. He then married my mom and had myself and my brother. Money was always tight, but I don’t ever remember being hungry. Sunday dinners would be a big roast, potatoes, some type of veggie and milk or Kool-Aid for the kids. Dessert would be something my mom made, be it cake or cookies or pudding. That roast would make an appearance several more times during the week as leftovers. One of my favorites was roast beef and gravy over bread. The bread would make the meat stretch for several meals. Wednesday really was spaghetti day in our house. Remember the commercials in the 1970’s about Wednesday being Prince spaghetti day? We didn’t really eat out. A treat for us would be pizza or sliders from White Castle. Pizza night would be the first Friday of the month, which was also my dad’s payday. I remember my mom would order the Family Pizza from Cold Spot. It was always thin crust and always Italian sausage. I remember that the family size was huge and fit in the back of our station wagon. Pizza night was also the only time we got to drink soda. Mom would open a bottle of Pepsi and split it among us kids. Leftover pizza was reheated in the little toaster oven. We didn’t have microwaves back then. To this day, pizza doesn’t taste good to me unless it’s reheated in a toaster oven. If not, I’d rather eat it cold. Another rare treat would be when we would get sliders from White Castle. I remember that my dad would get a bag of 30 sliders and some fries. Each of us kids would get 3 sliders and some fries. When I moved away, I missed those little burgers. In the south, they had Krystal, which were just like White Castle. I got used to eating them and when they built a White Castle near us in Tennessee, I couldn’t wait until they opened. Once they did, I went for my slider fix and promptly discovered that I liked Krystal’s better. Taste buds change I guess. My family was also a part of the clean plate club. Whatever food my mom put on our plates, we had to eat. And it didn’t matter how long it took you to eat. I remember getting vegetable beef soup for lunch and eating everything but the mushy vegetables. My mom wouldn’t let me leave the table until I ate all of it. I also remember the gallon of milk and my glass being filled over and over again to get me to swallow the vegetables. To this day, I will not eat vegetable beef soup. It is also probably why I find myself not wanting to eat many vegetables and may be why I am lactose intolerant. And I know that it is what contributed to my continual fight with my weight for most of my life. But it is also why I always let my son stop eating when he wanted. He doesn’t know what the clean plate club is and that’s a good thing. I guess there was a lesson learned in there along the way. When I went away to college, I remember my dad slipping me $20 for pizza whenever I came home for the weekend. He always whispered for me not to tell my mom. Since she never slipped me any money, I have a feeling she knew. There were plenty of pizza places around my school that sold it by the slice, so that $20 went along way back then. The food pictures didn’t stop when I married. There are the photos of the cakes that I made for my son for his birthday. I remember the Thomas the Tank Engine cake took me 4 days to finish. We were living in Louisiana and it was so humid that I could only ice a little of the cake at a time. I kept having to put it in the refrigerator to keep from melting. I also remember the pain in my back and shoulders from being hunched over as I iced it. It turned out really well and the pain was forgotten. Of course, it all came back when he asked for the same cake the next year. But it was worth it to see how happy he was. Over time, there were less photos. Or maybe the photos are different. When before we were recording our family as it was growing, we are grown. The photos we take now are mostly of our pug and of the places that we visit. Sometimes those places involve food, but mostly they remind us of the happy times we spend together. I have been thinking about my dad a lot lately. He passed away in October of 2006 and he was a fan of Halloween. Halloween was always fun. I remember how our costumes would be homemade and when we were small, my dad would take us trick-or-treating. As we got older, we were trusted to go on our own with other kids in the neighborhood, but the one thing we had to do was check in at our house every half hour and be home at the time he set. If we were late, the punishment was no candy until he said we could have it. We were always on time. I remember the elderly couple that lived down the block who put out full size candy bars on a snack table on their porch with a note to “Take just one. We know where you live.” We always thought they were watching us from inside the house and they did know where we lived, so we only took one. There was another couple that would had out $1 bills to each child. Back then a dollar to a child was a lot of money, so everyone tried to get to their house first before they ran out of money and turned out their lights. One of the things that I used to do with my dad was watch the old Abbott and Costello movies that used to air on one of the Chicago stations on Saturdays. As Halloween got closer, they would have a horror movie marathon and we would always watch the Abbott and Costello ones. They were Abbott and Costello Meet the Mummy, Meet the Invisible Man and Abbott and Costello Meet Frankenstein, which is where they also met Dracula and the Wolfman. We also watched the Godzilla movies from Japan. You know the ones where the dialogue was dubbed and never matched the action on-screen. They were wonderful campy movies and a great time with my dad. On Halloween, my dad liked scaring the neighborhood kids. One year he grew a beard and dressed up like the Wolfman. He hid out on the porch and after the kids would ring the doorbell, he would start growling and rise up out of a chair and the kids would run away screaming. Once I married my husband and our son was born, I looked forward to taking him trick-or-treating and introducing him to those classic movies. Our son was diagnosed with an allergy to nuts and nut products when he was very young, so we had to navigate Halloween candy in order for him not to get sick. In the beginning, it was easy to switch out his bag of candy with one that was safe for him to eat and he was none the wiser. Of course my husband and I would have a sugar fest with the candy that he originally brought home. When he was old enough to realize that we had been switching out his candy, he stopped going trick-or-treating because it really wasn’t fun for him. When I asked him what he wanted to do instead, he said he wanted scary movies and snack food, so I introduced him to Abbott and Costello and Godzilla and we would snack our way through the night. Now that he is older, he still wants scary movies and snack food on Halloween. While his idea of scary movies and mine are different, he will humor me with Abbott and Costello and Godzilla (the originals, not the new ones). And I’ll show him pictures of his grandfather dressed up like the Wolfman and tell him how he used to scare the kids in the neighborhood. Good times. 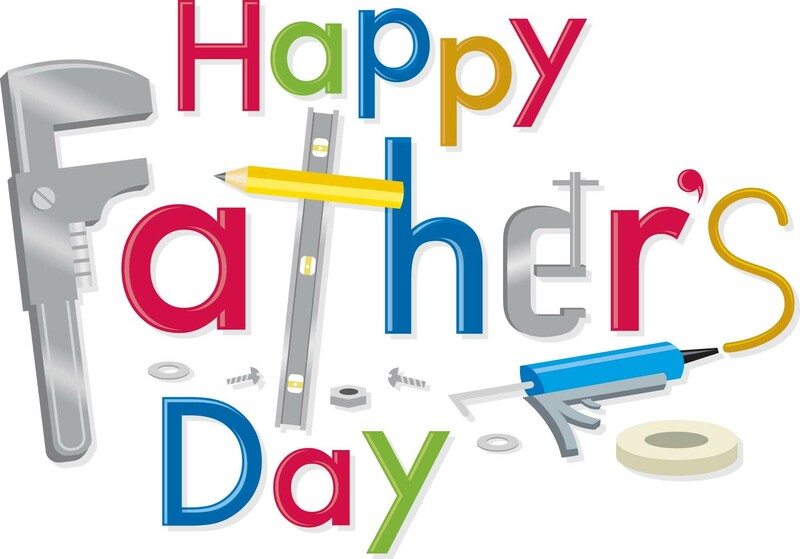 Wishing all a Wonderful Father’s Day!! !